Ganesh Visarjan 2015 Live Streaming – Hyderabad and Mumbai – Vinayaka Nimajjanam: The day has finally arrived when Vinayaka’s Idol will be immersed into the water. The devotees will be indulged in the procession from 27th to 28th Sept. 2015. This custom tradition is done all across India including areas like Hyderabad, Mumbai, Kahiratabad, and more. TV channels including NTV, TV5, ETV, Sakshi have done preparations to broadcast the live updates to the viewers related to immersion ceremony to across the USA and the Indian states like Delhi, Pune, Rajasthan, Jaipur, etc. Also check: Super Blood Moon 2015 Live Stream. It is also popular known as Vinayaka Nimajjanam in areas where Telugu is the native language. All the devotees have prepared themselves for this occasion and the statues / idols will be immersed into a flowing water body. It has been a huge celebration time which will end with the final offerings to Lord Ganesha in the form of coconuts, flowers, and sweets. Speaking of Mumbai in particular, then here Ganesh Visarjan is conducted by the Ganpati Mandals. They guide everything including every step in the procession, which includes dances, songs on the local instruments like Dhol, Tasha, etc. The celebrations will continue till tomorrow morning. A large number of people perform it on the 11th day of Ganesh Chaturthi while different families have their own traditions in which they used to immerse on the 3rd, 5th, or 7th day itself. Vinayaka Chavithi celebrations are usually conducted for a period of continuous ten days with separate / one’s family’s own customs. However, puja and modaka (Ganapati laddu) are the two common ingredients. Moreover, Ganapathi Laddu Velam Pata – a bid is organized at some places as they believe that whosoever buy at the high price will get more blessings from the Lord Ganesha. This year, the one of the tallest statues (idols) made for this ceremony is of Khairatabad Ganesh Idol. It is 59-feet tall and has costed about Rs. 50 lakhs. As a result, it has attracted the eyeballs of everyone. It will be live telecasted on the videos available here on this page. Lalbaugcha Raja 2015 Visarjan Route: Several news TV channels have provided the facility to watch the Ganesh Visarjan from cities like Vijayawada, Tirupathi, Guntur, Vizag, Kakinada and others to right on the screen. Several traffic routes have been changed, so it’s better to check them before going on the road for driving or any businesses. 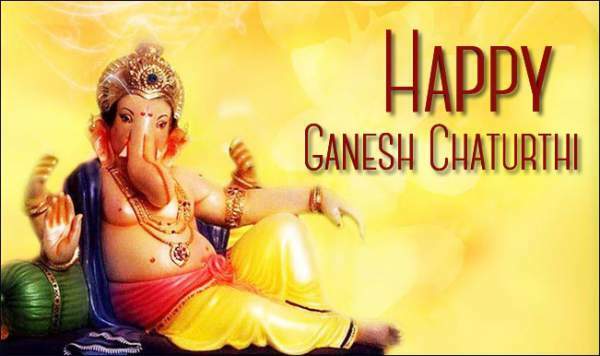 This is all about Ganesh Visarjan live streaming 2015. Stay tuned with us for the latest news and updates across the globe.